David Haden Guest, the son of Leslie Haden-Guest, was born in 1911. His father, the first Jewish person to stand in an election for the Labour Party, was elected as MP for Southwark North in 1923. David Guest entered Trinity College in 1929. He joined the Cambridge University Socialist Society and most of his new friends held left-wing views. This included Kim Philby, Guy Burgess, Anthony Blunt, Donald Maclean and James Klugmann. On his return to Cambridge, David Guest joined the Communist Party of Great Britain. He became the head of a cell that included John Cornford, Guy Burgess, Donald Maclean, Victor Kiernan and James Klugmann. This enabled dons such as Maurice Dobb and John Bernal to take a back-seat. "The readiness of David Haden-Guest to assume responsibility for the organization had another useful effect. It lifted an unwanted load from the shoulders of Dobb, Bernal and Pascal who, as Fellows of their respective colleges, considered it wiser to remain discreetly in the background. The University authorities adopted a vaguely tolerant view of undergraduate excesses in the political field; but dons who were known to be active Communist officials would have been courting needless trouble." (4) It was claimed that David Guest would "stride into hall at Trinity wearing a hammer and sickle pin in his lapel." (5) With the help of Dave Springhall, Young Communist League national organiser, the party soon had 25 members, Trinity College alone had 12 members and weekly meetings in the students’ rooms. In April 1938 the Nationalist Army broke through the Republican defences and reached the sea. General Franco now moved his troops towards Valencia with the objective of encircling Madrid and the central front. Juan Negrin, in an attempt to relieve the pressure on the Spanish capital, ordered an attack across the fast-flowing Ebro. General Juan Modesto, a member of the Communist Party (PCE), was placed in charge of the offensive. 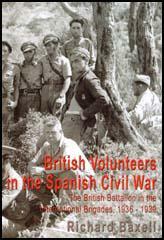 Over 80,000 Republican troops, including the 15th International Brigade and the British Battalion, began crossing the river in boats on 25th July. The men then moved forward towards Corbera and Gandesa. On 26th July the Republican Army attempted to capture Hill 481, a key position at Gandesa. Hill 481 was well protected with barbed wire, trenches and bunkers. On 28th July, 1938, David Guest was killed on Hill 481 by a sniper as he read a newspaper. But what Marxism and Dobb's cell in Cambridge needed to give it impact on the university at large was a communist hero. He arrived in the form of David Haden Guest, who had gone up to Trinity in the same term as Kim to read philosophy and mathematical logic under Ludwig Wittgenstein. In the summer of 1930 he went to the university of Gottingen to study under the great mathematician David Hilbert. In Cambridge signs of an impending war were few but in Nazi-dominated Gottingen they were as real as the armed police in the streets and the drunken Nazi meetings which went on in the beer cellars. He saw enough on that trip to convince him that only communism could stand up to the political violence of the Nazis. He was arrested at a communist youth demonstration and released after a fortnight's solitary confinement only after he had gone on a hunger strike. When Guest got back to Cambridge he took over Dobb's cell, and was soon recognized as a glamorous figure who flaunted his communism with pride - he would stride into hall at Trinity wearing a hammer and sickle pin in his lapel. Largely because of Guest, communism, which had been only a fringe political activity at the university, moved into the limelight. He gave a talk on his experiences in Germany, ending with an account of his arrest and imprisonment. "I shall never get myself into danger again so long as I live; or at least only on very urgent matters of principle." The communist cell grew quickly. Two new recruits were Donald Maclean and James Klugman, who came up in 1931 to read modern languages and spent much of their time working for the party, organizing study groups, and trying to get Marxism accepted as a philosophy in the university curriculum. They argued that Marxism led to good degrees - "Every Communist is a good student." They kept lists of fellow-travellers and sympathizers and devoted a lot of effort to recruiting. They attacked the CUSS for being weak-kneed, screaming and shouting at political debates in a manner Cambridge had never seen before but which the students tolerated because of their obvious conviction. Taking part in a Communist demonstration on Easter Sunday 1931, he was arrested by the police, held for two weeks in solitary confinement, and eventually released as a result of going on hunger strike. The young man had left for Germany a pacifist and a Socialist. He returned blazing with conviction that only through revolutionary Marxism could the free world be saved from the ruinous, humiliating plight which was fast overtaking the Germans. As for Britain, the failure of the Labour Party was scandalously clear. Only a strong Communist Party could lift the country out of the slump and put down capitalism and its political minions. Haden-Guest was one of the handful of undergraduates present that summer's day when Clemens Palme Dutt called on Dobb and his associates; and the young man's fiery enthusiasm had swung the meeting in favour of immediate action. It was decided there and then not only to create a Communist cell in the heart of Trinity College, but to concentrate on winning recruits in the town as well as in the University. The readiness of David Haden-Guest to assume responsibility for the organization had another useful effect. It lifted an unwanted load from the shoulders of Dobb, Bernal and Pascal who, as Fellows of their respective colleges, considered it wiser to remain discreetly in the background. The University authorities adopted a vaguely tolerant view of undergraduate excesses in the political field; but dons who were known to be active Communist officials would have been courting needless trouble. 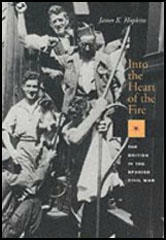 Apart from Haden-Guest, two working-class undergraduates attended the foundation meeting: Jim Lees, an ex-coal miner on a trade union economics scholarship; and Jack 'Bugsy' Wolfe, a Jew from the East End of London who was reading biochemistry under J. B. S. Haldane. Haldane himself, disgusted as he was with the dismal record of Labour, had yet to take the logical step leftwards and join the Communist Party.